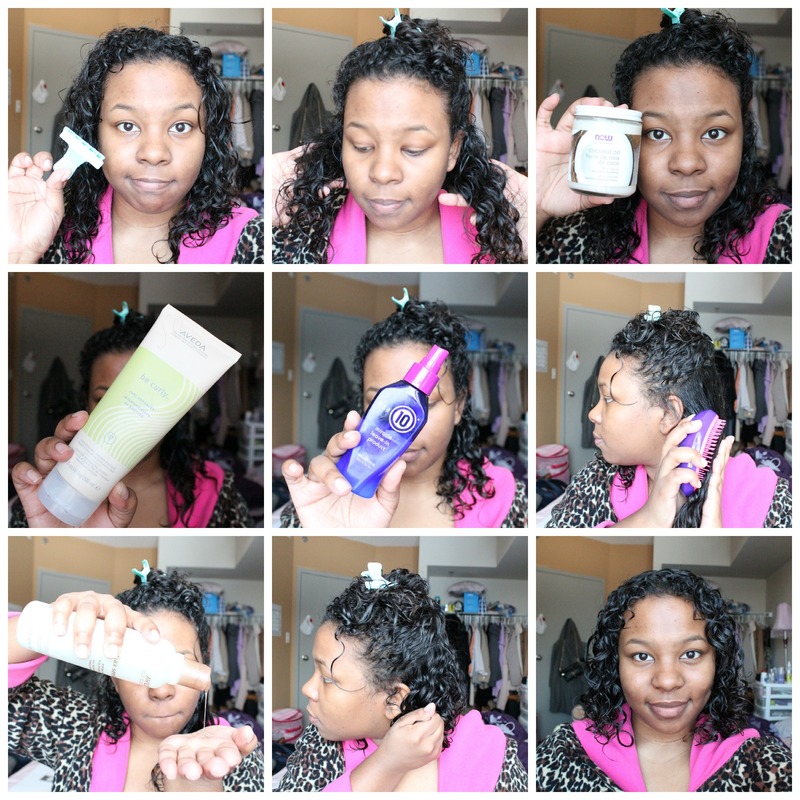 Curly Hair Chronicles: Styling (with the LOC method) – amandarobots. I can tell this post is going to be a long one, so let’s get started! I start with clean, wet hair; water is the liquid from the LOC method. The wetter my hair is, generally speaking, the better the style will turn out. More water to start means less frizz, but a lot of the time I’m super lazy and will towel dry with a microfibre towel so my hair isn’t dripping wet. 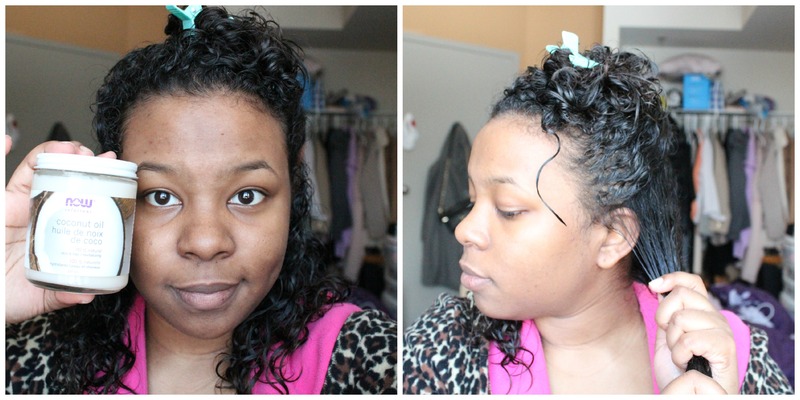 I use a cheapo clip to section my hair in two – a top section and a bottom section. Then I take the bottom section and divide that into a left section and a right section. I pick one to work with at a time because I find that working with quadrants of my hair results in better product dispersal. For the oil step, I use coconut oil – surprise surprise! I love it so much, and it figures into my beauty routine in several ways. In this case, it’s a great oil for penetrating the shaft of the hair and really hydrating from within. It also works well to seal in the moisture from the liquid step.I smooth about a nickel-sized amount on the section of hair, but I find I can’t really go wrong – there’s no such thing as too much coconut oil for me. Now it’s time for a cream. This means a leave-in conditioner for even more moisture and frizz control. 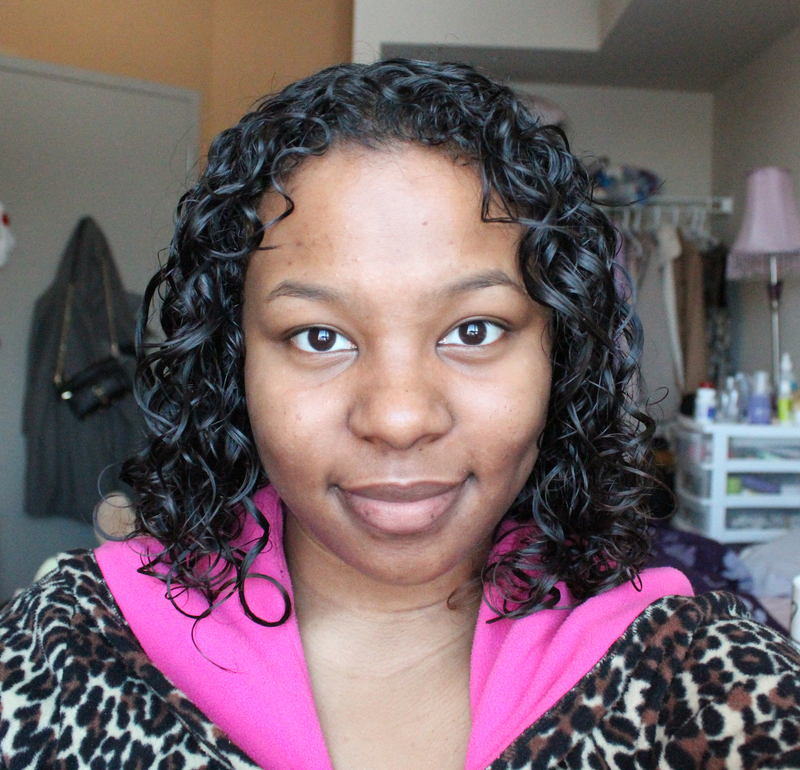 At the moment, I’m using Aveda Be Curly Curl Enhancer, and I really do think that it works well to enhance my curls. I’ll probably try something different when it’s done, though. I use a different amount of this depending on what my hair needs. In my hand, I’ll mix a few squirts of It’s A 10 Miracle Leave-In into the Aveda product. It’s good at smoothing, and it’s a built-in heat protectant if I’m going to be diffusing. I then apply the mixture to the section I’m working with. The next step is new: I take my TangleTeezer and run it through my hair. This does three things: it gets rid of tangles that may have formed while I was in the shower, it disperses the product evenly, and it helps the hair to clump together, which reduces frizz. The third picture shows that my hair is just one big smooth clump. Finally, I do my gel step. I take a quarter-sized amount of Aveda Flaxseed Aloe Gel and scrunch it into my hair. If there’s frizz, I’ll twirl a few pieces. I’ll also twirl the front pieces, because the bottom parts have difficulty curling from when I used to straighten my bangs every day. I then repeat those steps on each section of my hair, and this is the final (wet) result! Ideally I’ll let it air dry, but if I’m in a hurry to go out (in the winter) or to go to bed, I’ll diffuse it until it’s dry. And I promise it doesn’t take nearly as long as you’d think.